Work is a human gift. Existing freelancing professionals in Sarawak have experienced the many career challenges in the past decade. What does this mean now when we increasingly embrace a more digital workstyle? Gig economy doesn’t have to mean the loss of benefits. Flexibility is what draws people to the gig economy we must look at the benefits of adapting to what this lifestyle is without instead of focussing on its vulnerability. Gig work or the open-talent economy, done right, can deliver a living wage and a high quality of life. Over the last decade, most creative professionals have already been a part of disrupting the traditional pattern of employment. According to reports from the Employee Provident Fund (EPF), the gig economy has grown 31 per cent in 2017. Technology and place give way to the online gig economy to thrive. As new interfaces transform the way we work and live, skilled workers and creatives of all kind, have become central to companies and movements, big and small, across all industries. The rise of the Digital Economy brings new opportunities and ways for exciting gig work. In Kuching, it is seen through the rise of ride-hailing services such as Uber and Grab. On talent-matching website Jobbatical, Malaysia is ranked 4 on Top Countries Hiring, showing the demand and acceptance for outsource work. Being part of the Human Cloud is the future of work. Creativity is the world’s most human craft, not easily replicated by the machine. And it is the most social too. There will be a need to connect and collaborate with skills and talents that are different from our own. The gig economy accommodates for a career that is driven by passion. Furthermore, the Human Cloud: also another term used for people in this type of workforce, empowers people with fewer privileges. We will also start to see more co-working arrangements and shared studio space between professionals from different fields. In Malaysia, the government wants you to take more gigs. CEO & Co-founder at ServisHero Karl Loo explains that the gig economy as an opportunity to increase productivity by putting underemployed citizens to work at flexible part-time jobs. The online gig economy promises a lot, starting with just being an alternative to the normal, traditional job. 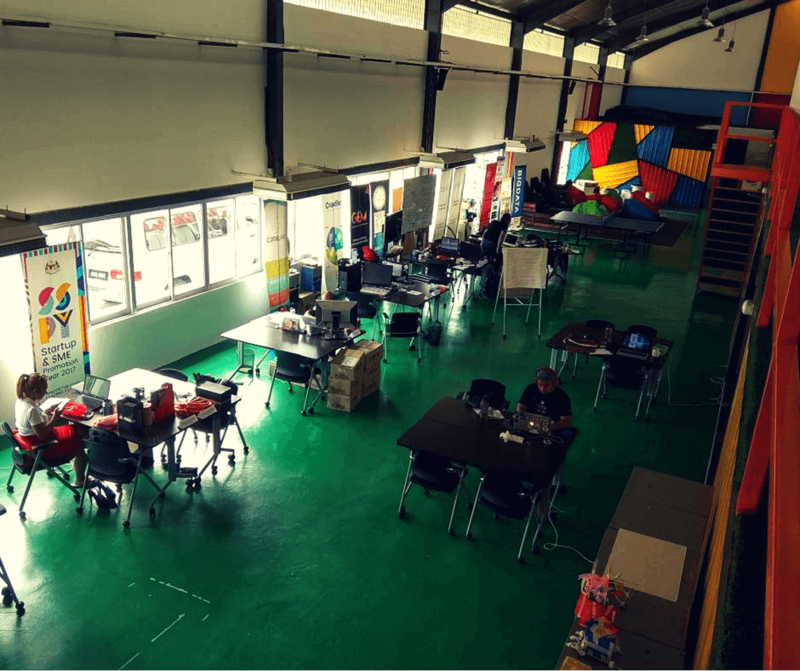 Freelancers are welcome to join us at the vibrant Co-working Community at MaGIC Sarawak @ Borneo744. Register at bit.ly/MaGICatB744! Block C at Borneo744 is dedicated to efforts and initiatives in Creative Expressions, Design, Crafts/Arts, and Fashion Manufacturing. See a creative opportunity and looking to rent long-term space? Or need a space for a conference or events? We can help. Call us at (+60)82 283 744 to know more.